This is Elisabet's birthday cake. 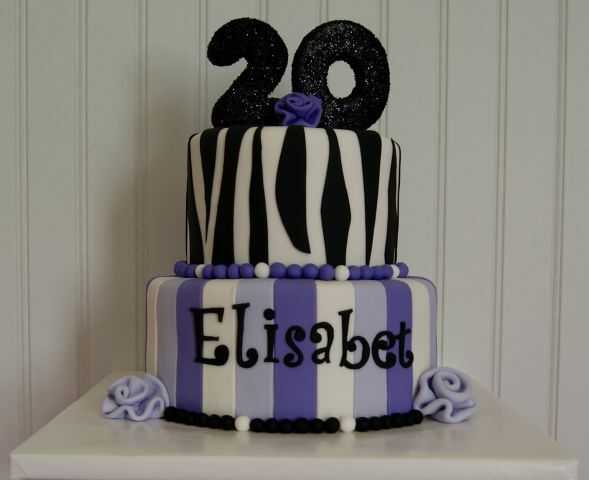 She wanted a cake similar to one I had made before but with purple instead of pink like the the other cake was. The top is white almond sour cream cake and the bottom is the strawberry version of that. Soooo yummy! Filled and iced in buttercream and covered in Satin Ice fondant. The topper is made of gumpaste.